While visiting Rim Country, I yelped best coffee in Payson and this little gem popped up. I pass through many times a year and didn’t recognize the name Common Grounds. I figured I give a local place a shot instead of going to the nearby Starbucks in town. It is a fairly new coffeehouse that neighbors nearby Expedition church (who actually started it). 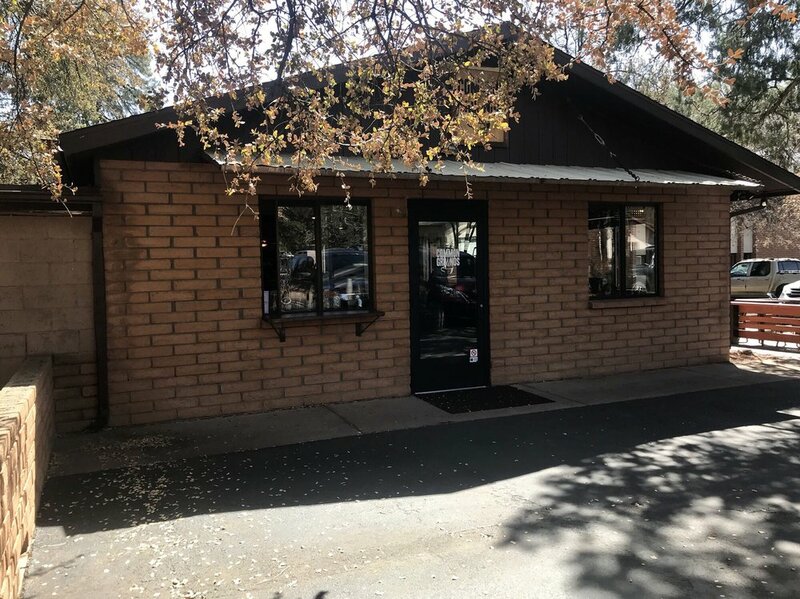 Common Grounds seeks to establish meaningful community in the Payson area. The coffeehouse is cozy and very welcoming. 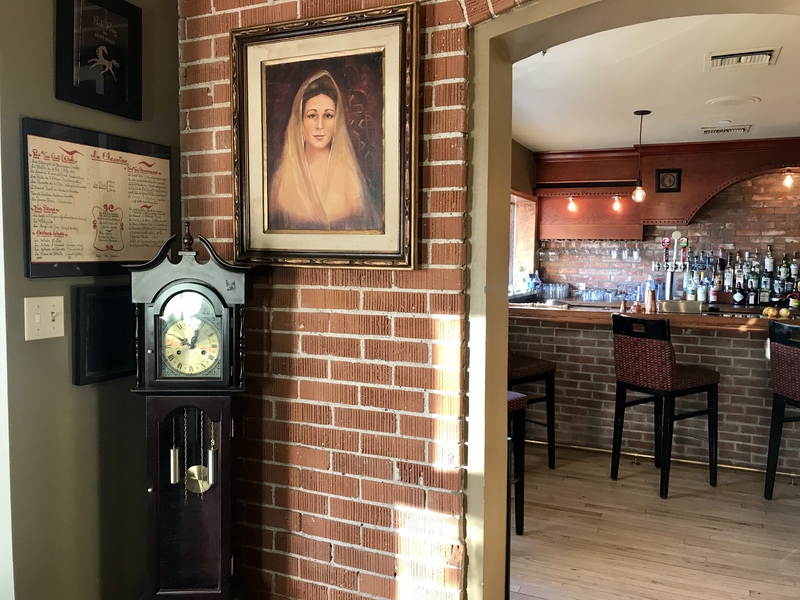 The bar is made of a beautiful dark wood and the décor consists of historical photos and a wall with a large painting of the Arizona flag. Outside is a nice shaded patio area with plenty of seating. On the menu, they have a nice selection of coffee, espresso drinks and tea. They also have pastries on hand and free wi-fi. We stopped in for a bit and really enjoyed our time here. The staff was friendly and our drinks were made just right. One of things I like about this place is that they donate their profits to local charities and organizations within the Payson area. They are all about giving back to the local neighborhood and I’m always a huge fan of businesses that invest in their surrounding community. I love that their cups say “neighborhood coffee house” on them. My only gripe was that we came on a Sunday afternoon and parking was very limited because of church going on. But overall this is a really nice addition to the Payson area. The ice cream sandwich explosion has taken over Arizona! I actually visited a Baked Bear in Pacific Beach years ago after a long night of partying on the beach (they actually got their start in San Diego). It was my first ice cream cookie experience and I remember telling myself we need one of these in AZ. Now we got them everywhere. 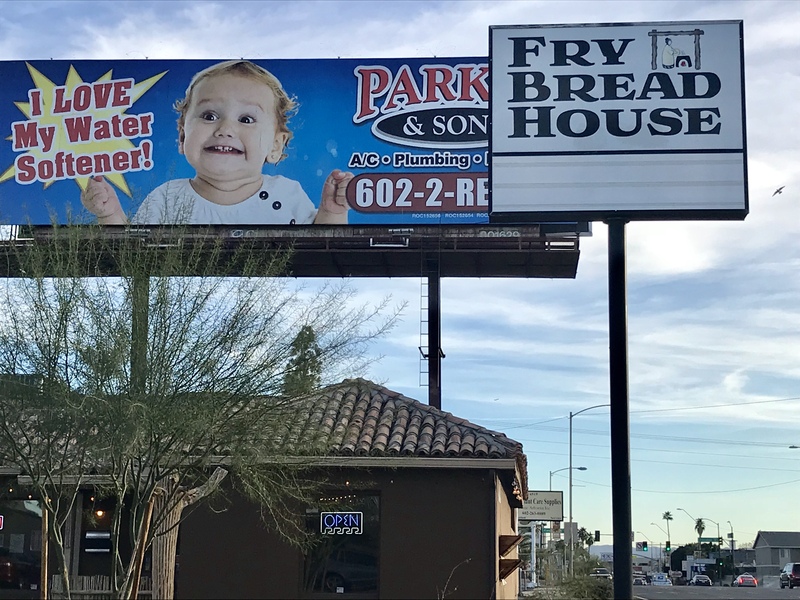 This particular location is located in the heart of San Tan Village and should do massive business. It’s Arizona’s third Baked Bear location. 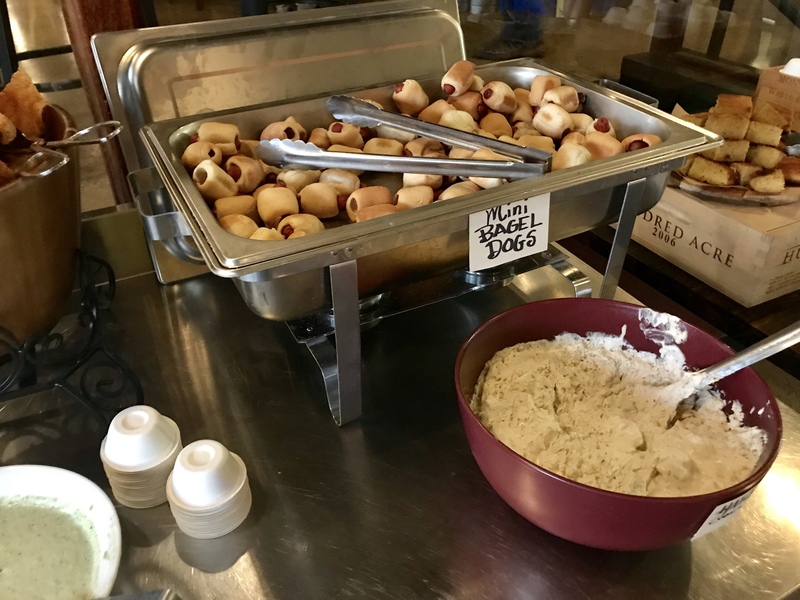 The menu is pretty simple – pick your cookies (you can have two different types for your top and bottom), pick your ice cream flavor and a topping or two. They press it all together and you have your ice cream sandwich. They have a nice variety of freshly baked cookies to choose from including brownies. If you really want to be a champ, pick three cookies and make it a triple decker. You can also have your treat in a bowl with a spoon if you don’t want it sandwich style. The staff was great and very helpful in explaining the process. I loved their enthusiasm and energy. 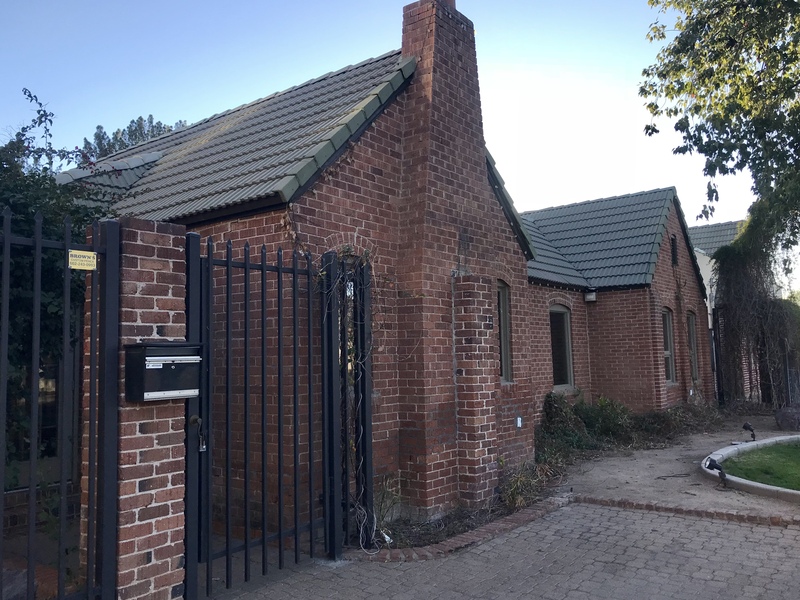 I’m excited for this new location and look forward to another visit – especially during our fun hot summers! Quinoa (KEEN-wah) is a popular food in Bolivia. It’s a plant from the Andean highlands. The plant’s seeds are the edible, tasty part. They contain protein, which helps children grow. 1. Heat the oil in a large saucepan over medium heat. Add the onion and garlic, cooking until light brown, about 10 minutes. 2. Add the quinoa to the pan and pour the broth over it. Season with the cumin, cayenne, salt and pepper. 3. Bring the mixture to a boil. Then cover the pan, reduce the heat and simmer until the quinoa has absorbed all the broth, about 20 minutes. 4. Stir in the frozen corn and simmer about 5 minutes. Stir in the black beans and cilantro and remove from heat. Let sit for a few minutes before fluffing with a fork. Serve hot or cold. It’s Not Tequila, It’s Pisco! 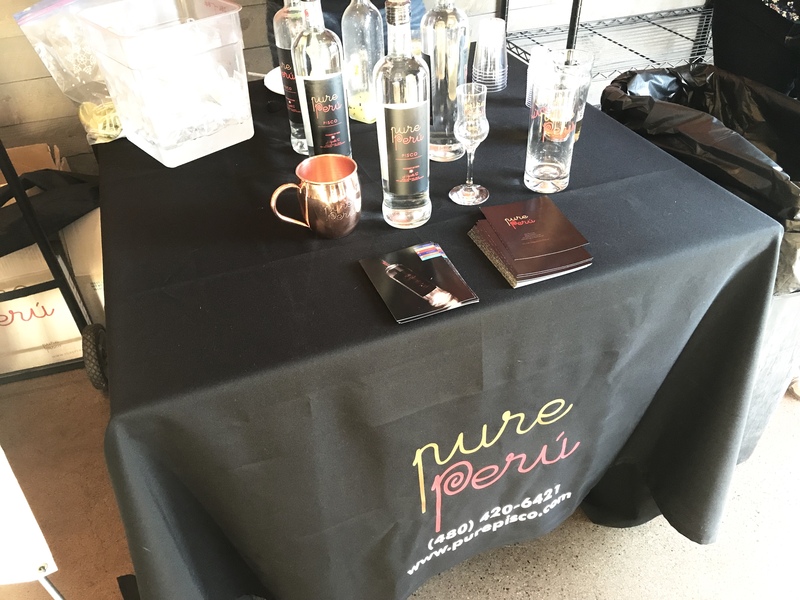 While attending a Pre Super Bowl party at Helio Basin, we were served up drinks from Pure Perú. 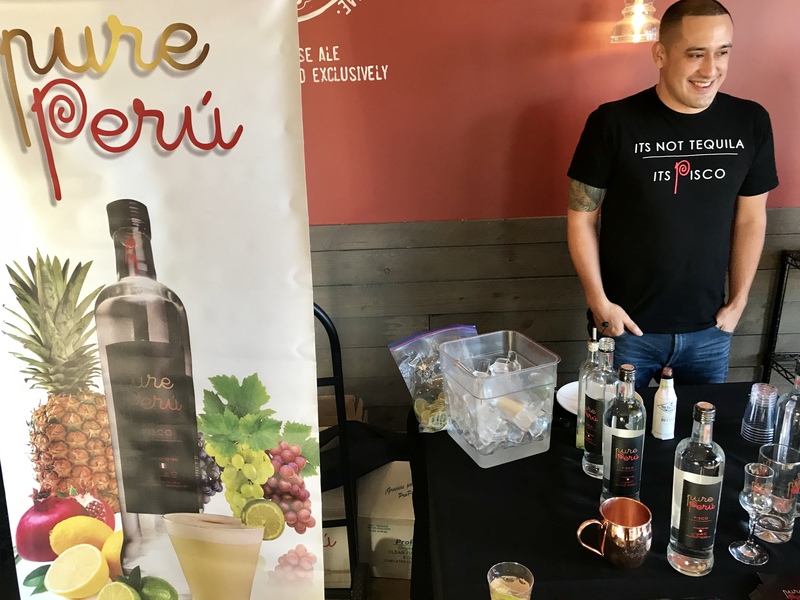 Pure Perú is a family owned business that imports pisco (a Peruvian colored brandy) from Peru to the U.S. These drinks were amazing! I got to say that Pisco is really crisp and smooth. 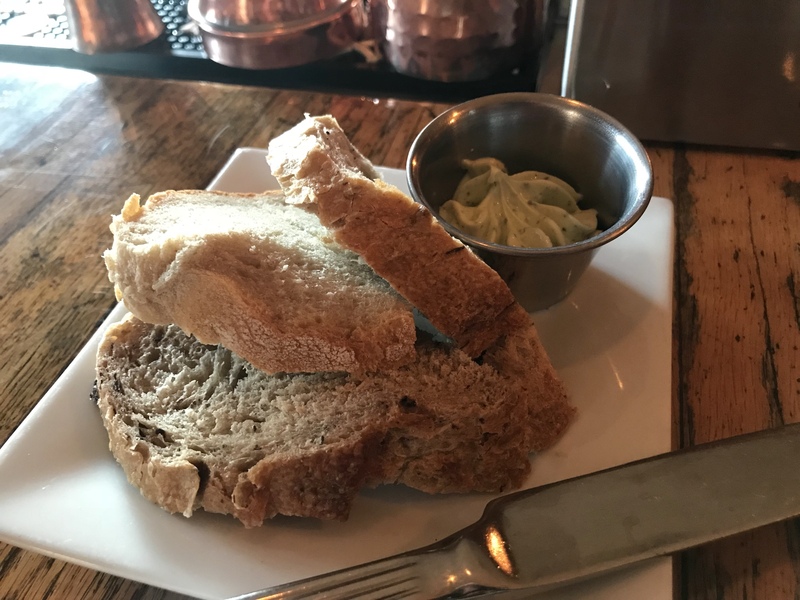 I tried their Peruvian Mule (recipe below) and loved it! I’m always about culture and it was great getting a little taste of Peruvian culture. I love that they are local and that you can buy their bottles at local liquid stores and places like Total Wine & More. I recommend you give them a try. 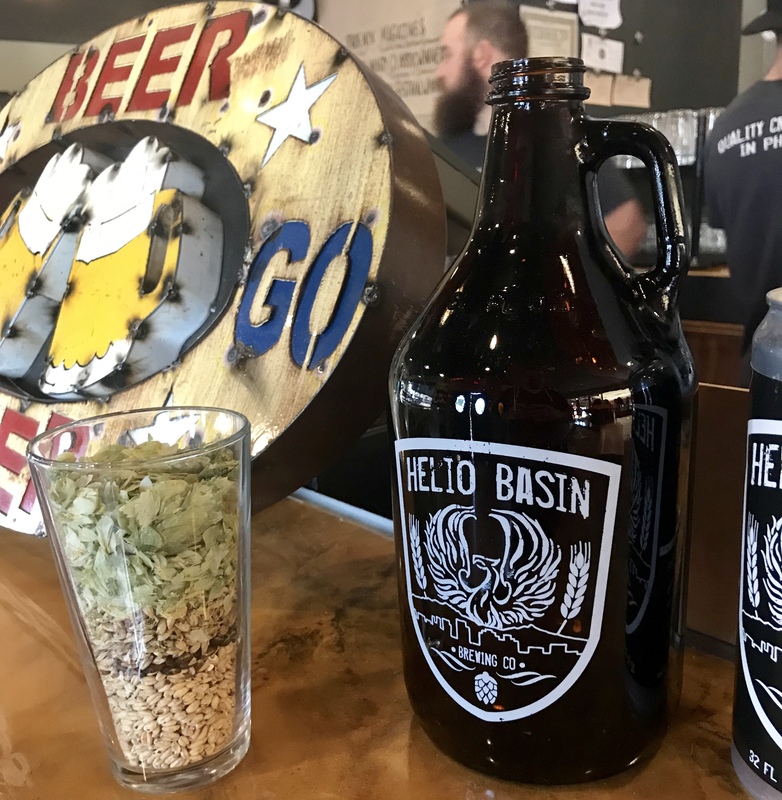 I got invited to this Super Bowl Pre Party at Helio Basin Brewing. 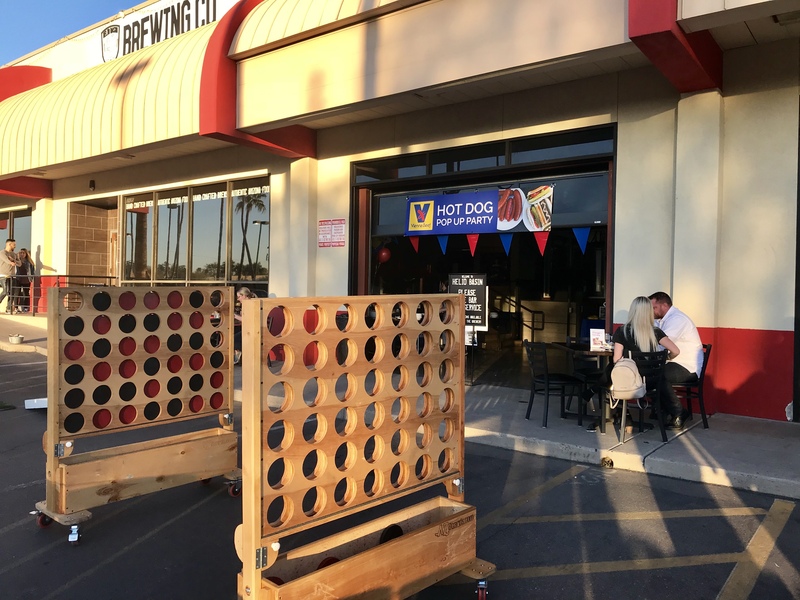 The event was put on by azfoodie and sponsored by Vienna Beef. 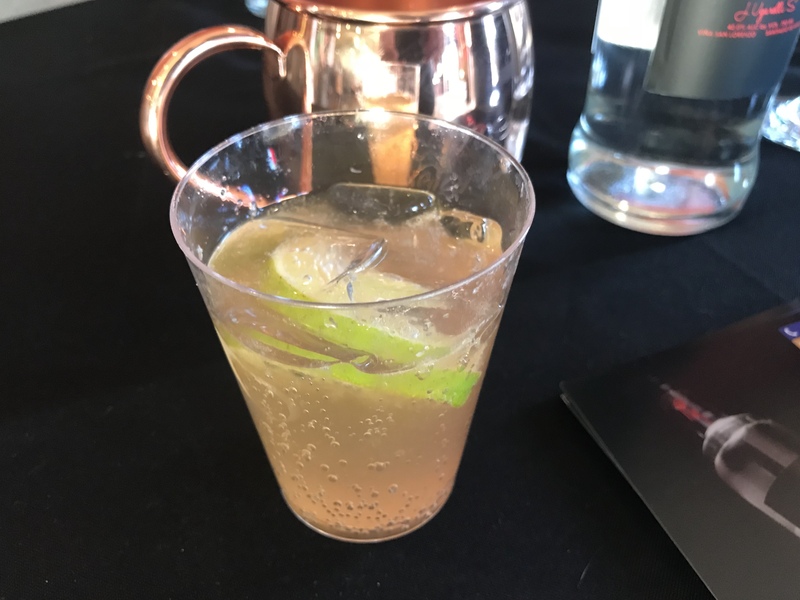 Pure Peru provided drinks for us and you can read about them in my post. 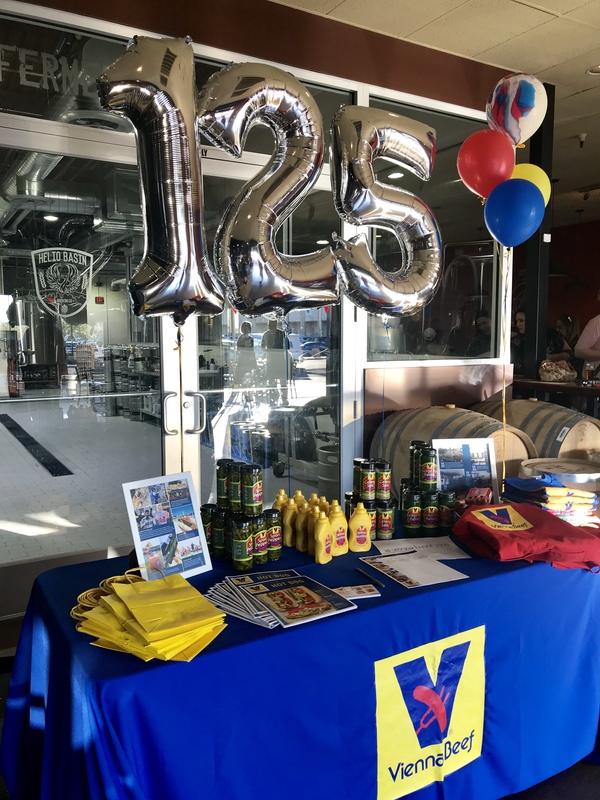 This year Vienna Beef is celebrating their 125th anniversary. Vienna Beef was born in 1893 and is Chicago’s first-choice hot dog. It was first introduced at the World’s Columbian Exposition in Chicago by Austrian-Hungarian immigrants Emil Reichel and Sam Ladany. They opened their first store a year later in 1894 and business takes off. 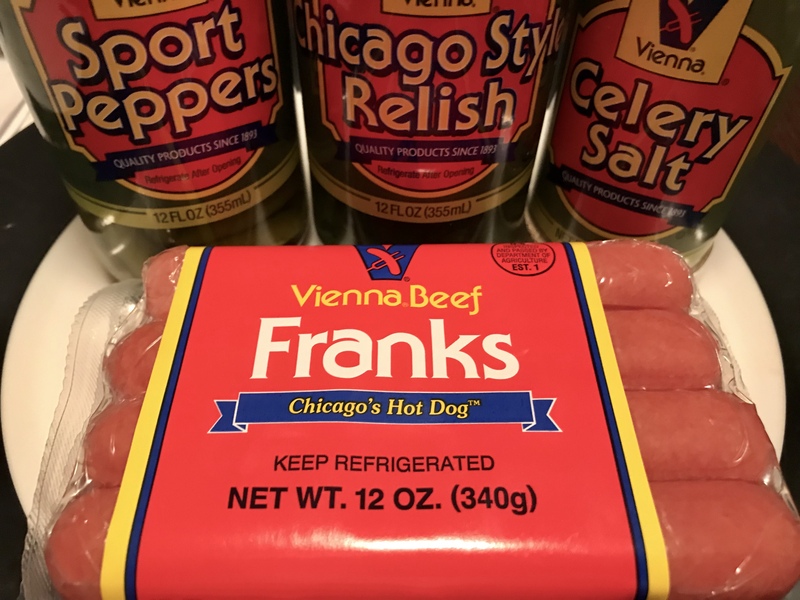 Hot dog stands start popping everywhere and Vienna Beef becomes a part of Chicago’s community and culture. 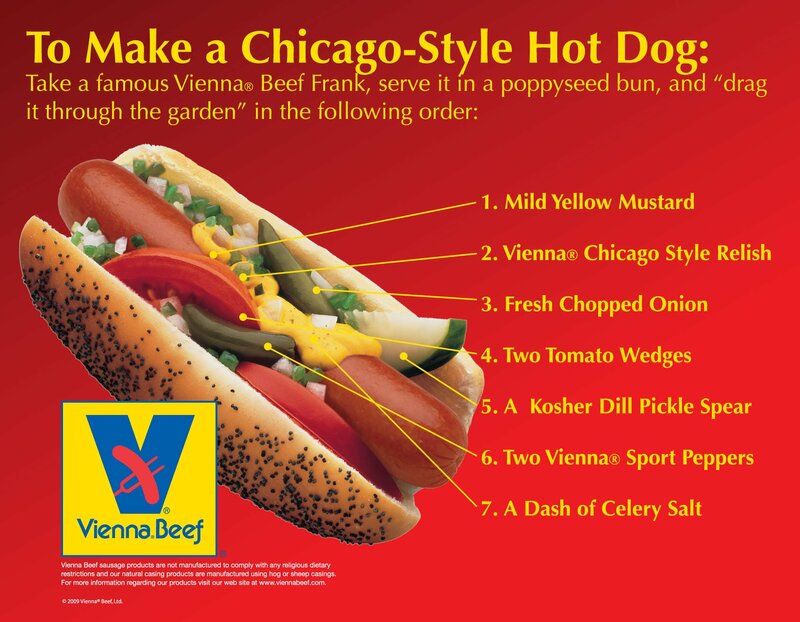 The famous Vienna Beef hot dog is eventually dubbed “The Original Chicago Style Hot Dog” (recipe below). The Phoenix area is known for it’s large population of Chicago natives. Most of them visit because we are home to the Chicago Cubs’ spring training facility. Others visit to escape the cold windy winters. We have many Chi-town favorites like Portillo’s, Geno’s East and Giordano’s to choose from if you want a taste of home. 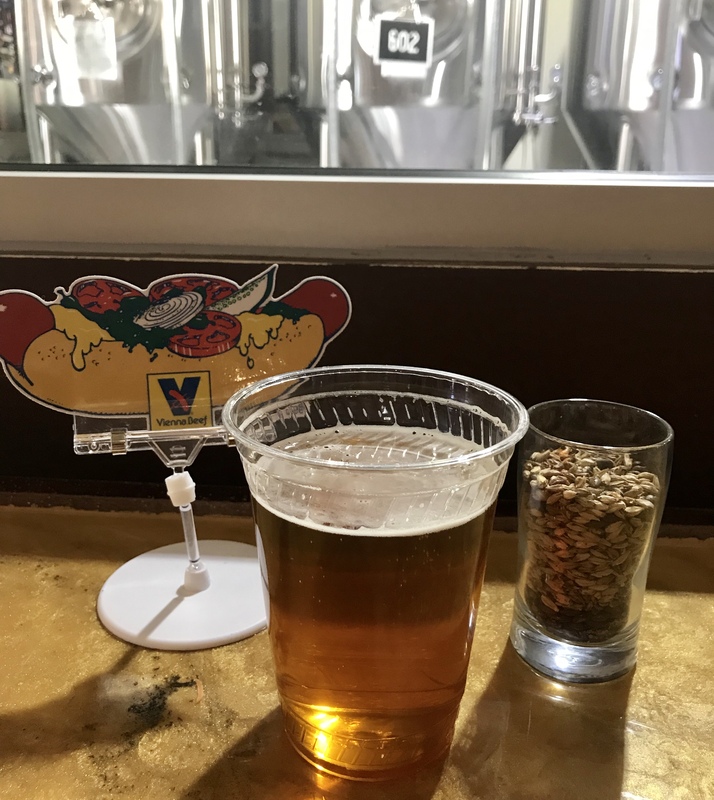 I have many friends here from Chicago and they have introduced me to many things that make up the culture of the Windy City. Chicago style dogs are definitely one of them. 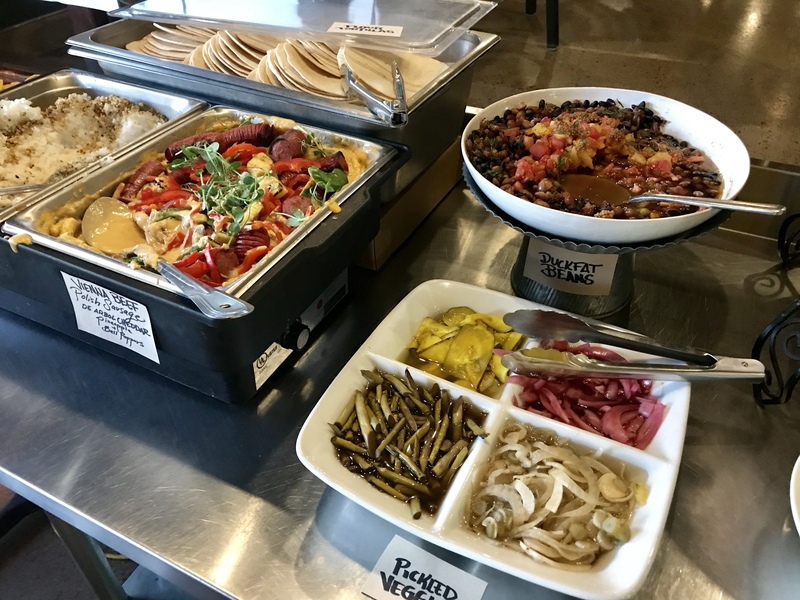 In addition to playing some fun patio games to get us hyped for the big game on Sunday, we got to eat some great food prepared for us by Helio Basin’s Chef Tamara Stanger. She incorporated some Vienna Beef polish sausage into one of the dishes. The food was amazing as always and of course we got have some of Helio’s great beer. You can read about my adventures at Helio Basin in this post. We were given jars of toppings so we can make our own Chicago style dogs at home. I rounded up my evening by taking some fun goofy photos with props in a photo booth with my fellow Instagram foodie community. 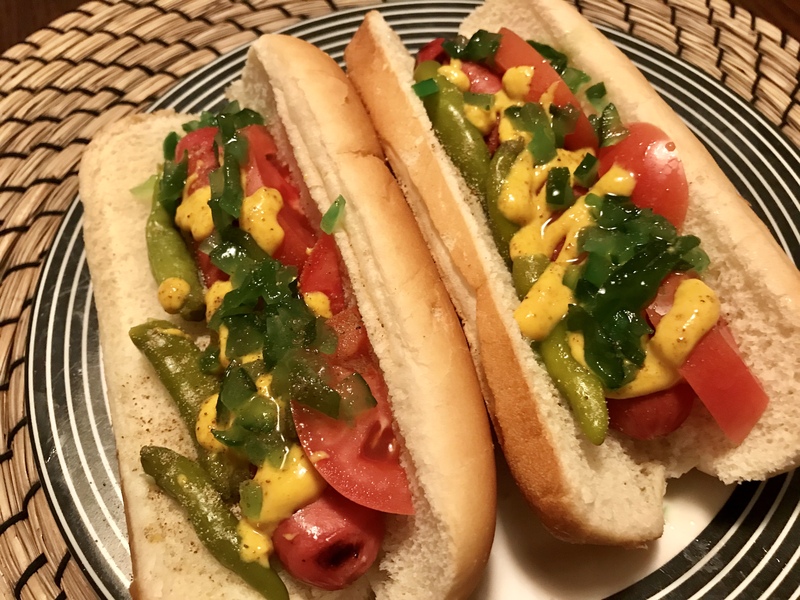 Below is the recipe on how you can make you own Chicago style dog! I made my own version of it with the toppings that were given to me by Vienna Beef. This place is so good! I’m embarrassed to admit that I’ve only recently visited here for the first time. Especially being a Phoenix native living close to Guadalupe who grew up on Fry Bread with honey and powdered sugar. 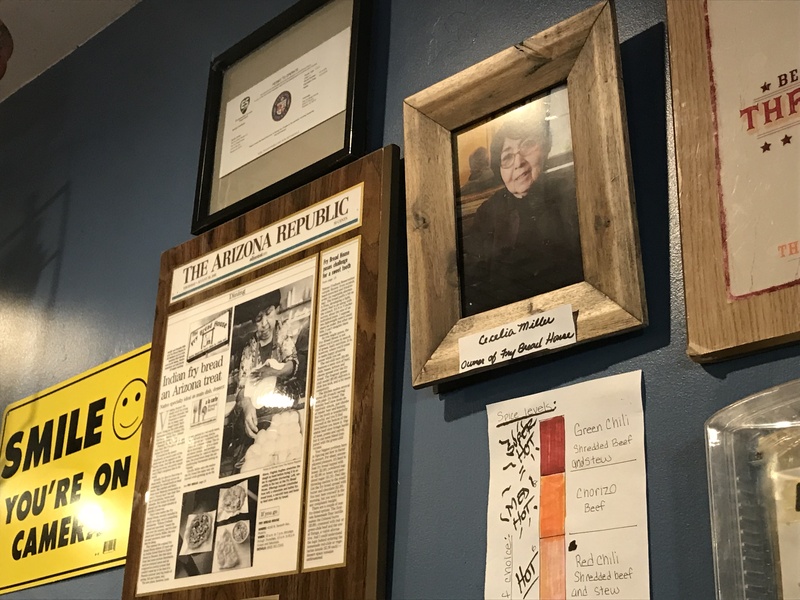 Of course my expectations were high for my first visit to Fry Bread House – James Beard recognized and the Green Chili Beef Taco voted as a top dish from AZCentral’s Dominic Armato. Plus all its history here in the Valley going back to when it opened in 1992. The restaurant is located within the Melrose district (after a couple relocations). 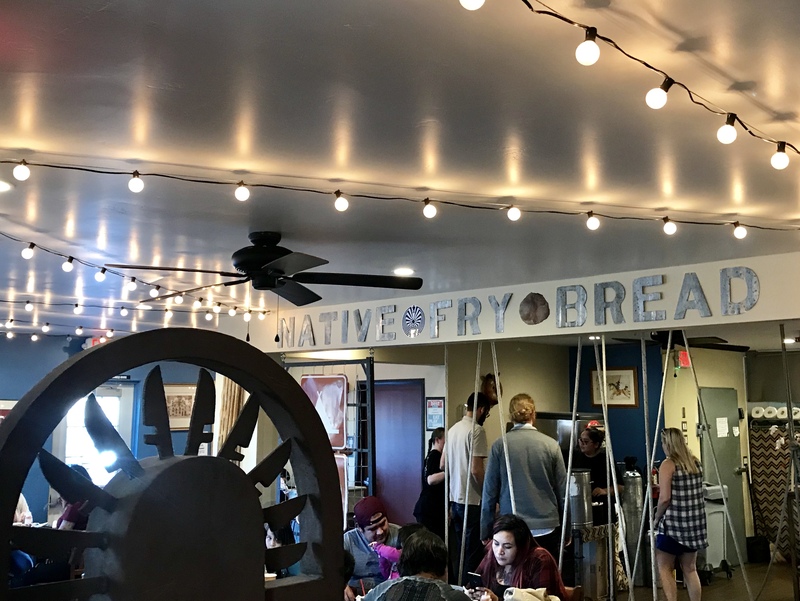 The decor pays homage to Native American culture with plenty of pictures and a Man in the Maze motif standing in place of a welcome mat. The roped off line to the ordering area at first confused me but I eventually caught on. There was a good mixed crowd here and plenty of regulars. 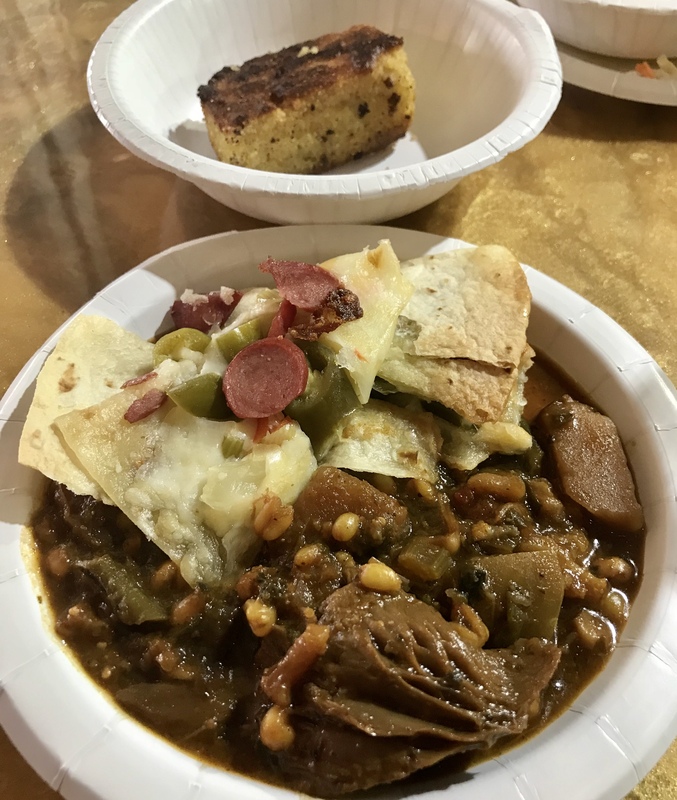 Even though I already had my mind set on the taco, the Chumuth Burro, the Red Chili stew and the Hominy stew with plain fry bread called out to me from the menu on the wall as I waited. Service was quick and easy and they really try to move the line. The green chili taco was a lot bigger than I thought. I’m not going to lie, it was also a bit sloppy to eat. But when you stuff a fry bread with all that yummy gooey goodness it’s probably not going to hold together for long. 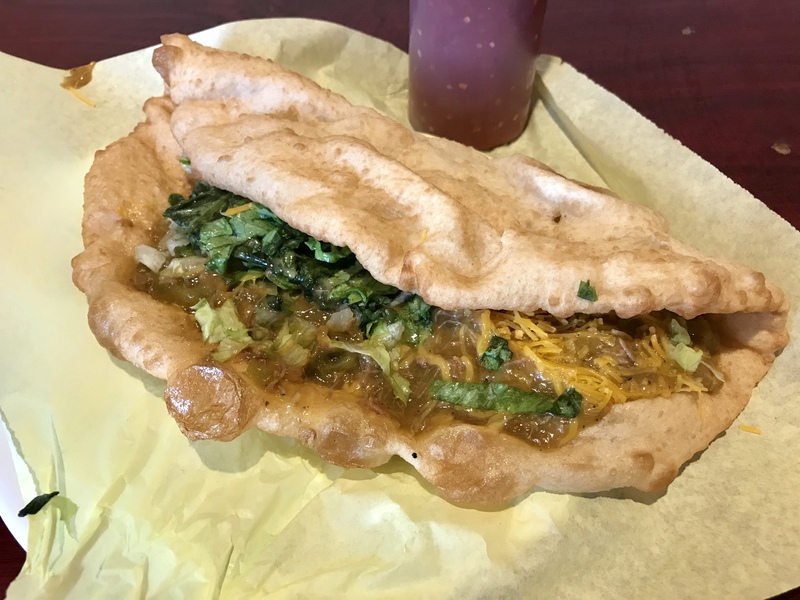 The fry bread is light and crisp and folded into a taco shape. The chili beef was nice and tender with cheese and the perfect amount of spiciness for me. It was a pretty good meal for $9 and good first experience for me. I’m dying to try that stew next time around. I’m also looking forward to introducing some of my Native buddies to this place. This is one of those sad reviews. 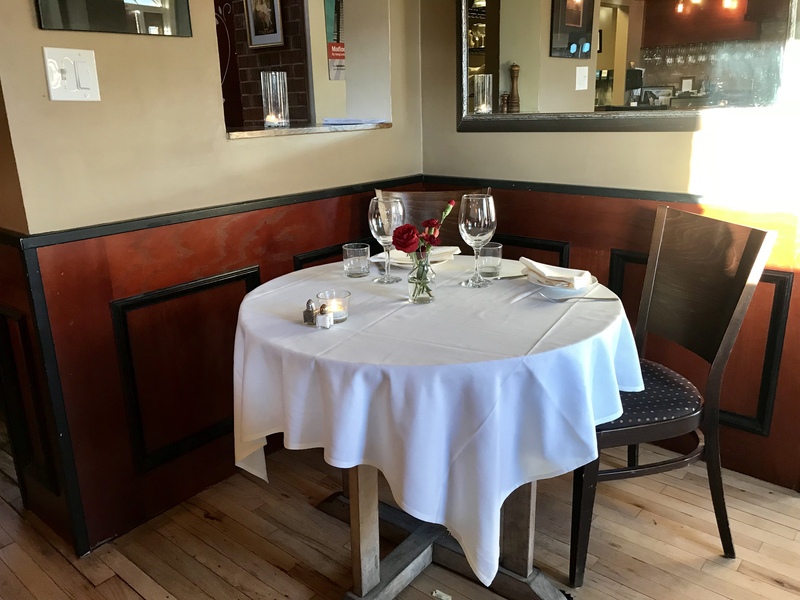 After more than twenty years of serving the Valley, Coup Des Tartes is closing their doors. 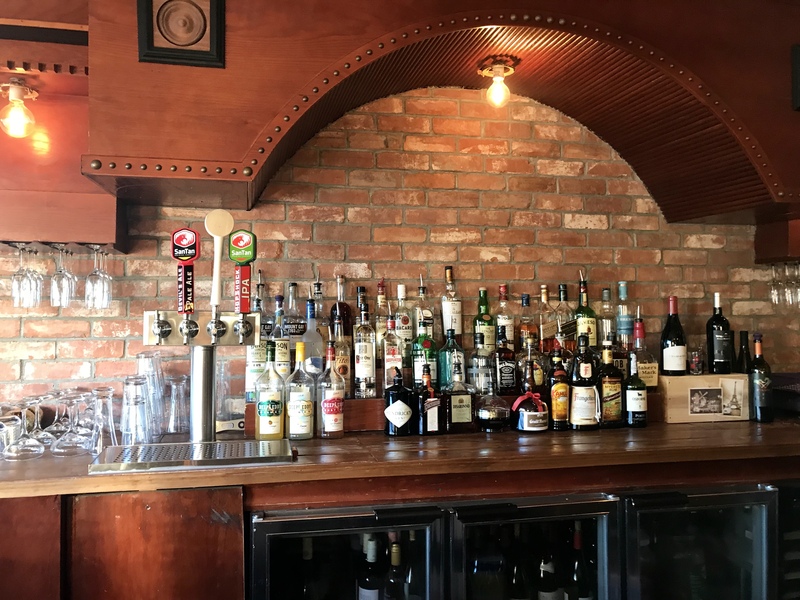 This local French-inspired American bistro (Phoenix’s longest running french restaurant) is the perfect spot for a romantic night out or any type of special occasion. It reminds me of Paris and makes me feel like Roaring ‘20s, Paris-style The tall shady trees and the pretty lights over the large open patio make for a nice hideaway from the busy surrounding area. 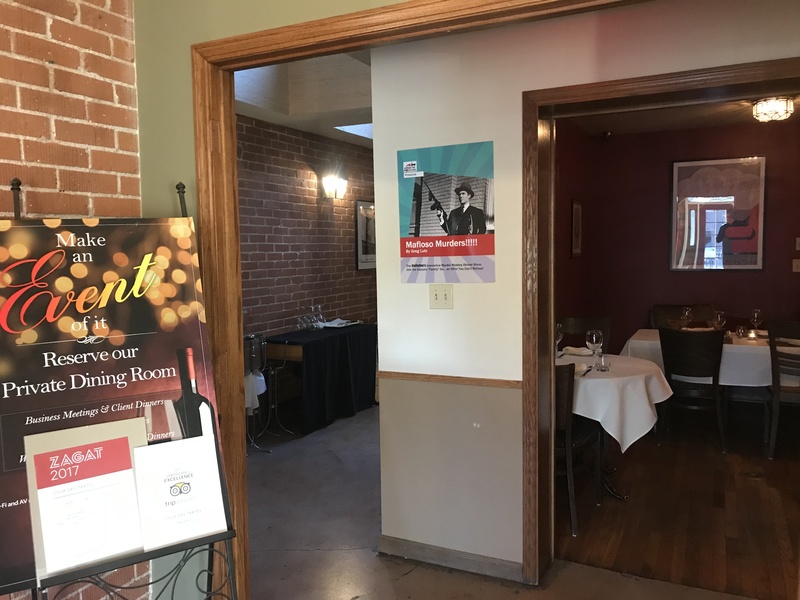 They also have a private dining space like the Rendezvous Room that can host meetings and they can also accommodate weddings and other outdoor events. What I always loved most about his place was the friendliness of the staff. My experiences here were always met with a warm greeting and excellent service. Sadly after being forced out of their previous location, Coup Des Tartes wasn’t able to fully recover due to labor laws. I’m going to miss their exquisite seasonal menu that included some of my favorites like the Chicken Cordon Bleu, Duck a l’Orange and the Three Onion Tarte. My best memory will always be a fun Yelp event in which we were encouraged to dress in French outfits. 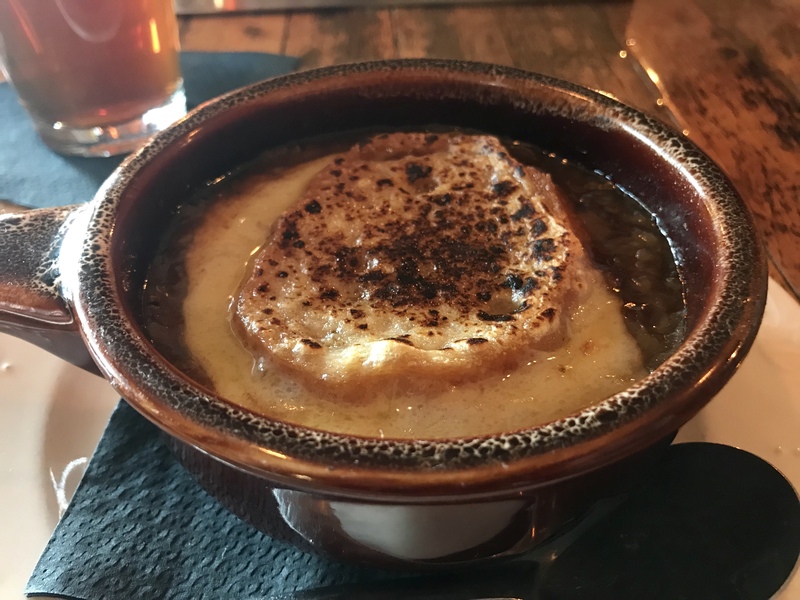 I stopped in for one last visit and ordered their delicious French Onion Soup as I mingled with the staff. Thanks Coup Des Tartes for the memories and I hope a day comes that you make a return. Au revoir. Coup Des Tartes fans are the best and we love each and every one of you. Over the years we have served many many thousands. We have helped celebrate everything from births to weddings and everything between. We have been honored to be part of your life’s events. Because of that we wanted you to be the first to know, it is with great sadness and deepest regrets that I write to inform you of the closing of the restaurant at the end of January 2018. 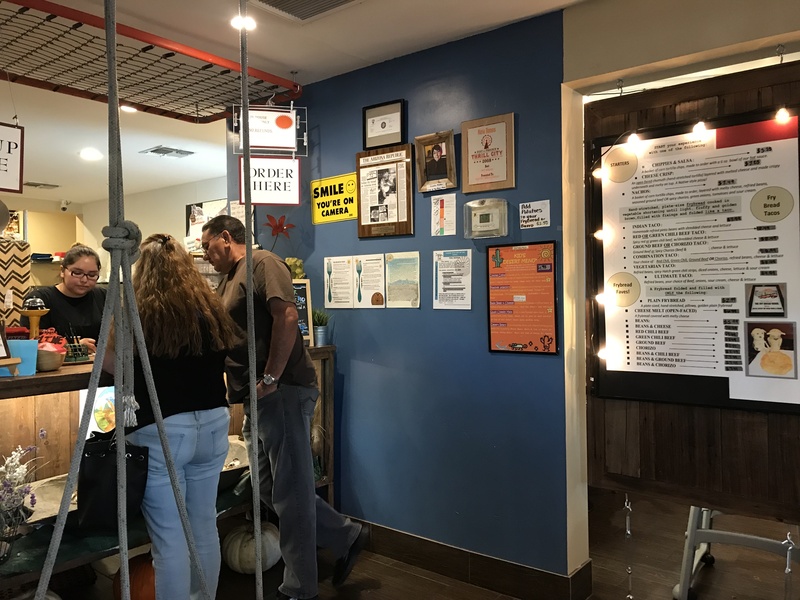 Although business has been steady, financial pressures from the new labor laws, increased competition, and debt from the restaurant’s relocation, has forced us to this end. Don’t be sad, we are still here for 2 weeks so we would love to see you one more time and say goodbye. We are not sure what comes next but like us on Facebook and add your email to our list to be the 1st to know. Thank you again for your patronage.